A training consultant discusses how to become an effective and “infectious” leader in this debut business guide. For Acuña, founder of Milwaukee-based Accolade Institute Inc. and its division Learning4Managers.com, “The concept of viral leadership is simple. Great leaders live the principles of excellence, and those around them can’t help but learn from them and mimic their examples.” Reality, however, isn’t so rosy, with Acuña citing statistics from surveys that he’s conducted (which he also asks readers to participate in) that reveal many people feel that they don’t receive proper leadership training. After presenting a brief rundown of the concern felt by competent workers newly promoted to management, Acuña provides definitions and distinctions of ideal leaders and managers, noting, for example, that leaders are stewards of trust, while managers are stewards of assets. He then asks readers to recall inspiring leaders they’ve worked for and to pinpoint their own “success suppressors” as workers, such as lack of confidence. He observes that “great leaders and managers don’t just let us grow at our own pace. They actually motivate us to move at a pace a little faster than we are used to and sometimes even faster than we think possible.” Acuña then segues into explaining how three strategic planning processes—ADDIE (Analysis, Design, Development, Implementation, Evaluation), SWOT (Strengths, Weaknesses, Opportunities, and Threats), and SMART (Specific, Measurable, Attainable, Realistic, Timely)—can help emerging leaders drive performance excellence, including by designing successful training programs and establishing clear goals. Acuña taps into the power of “content marketing” in this volume, offering a taste of his expertise within the book itself yet also advising readers to access additional information on his website. The promotional nature of Acuña’s narrative is intrusive at times, particularly regarding participation in his surveys, which already make the rather obvious, self-serving point of the need for more professional development training. Still, Acuña’s summations of ADDIE, SWOT, and SMART are succinct and valuable, with the author explaining the benefits of each (for example, “ADDIE does two things: it shows you how to create effective training for your staff, and it helps you plan and manage projects more effectively”). These three approaches serve as a useful professional development tool kit. 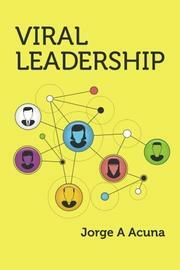 A book that offers solid strategy tips for striving leaders.